Last major update issued on November 19, 2016 at 04:30 UT. 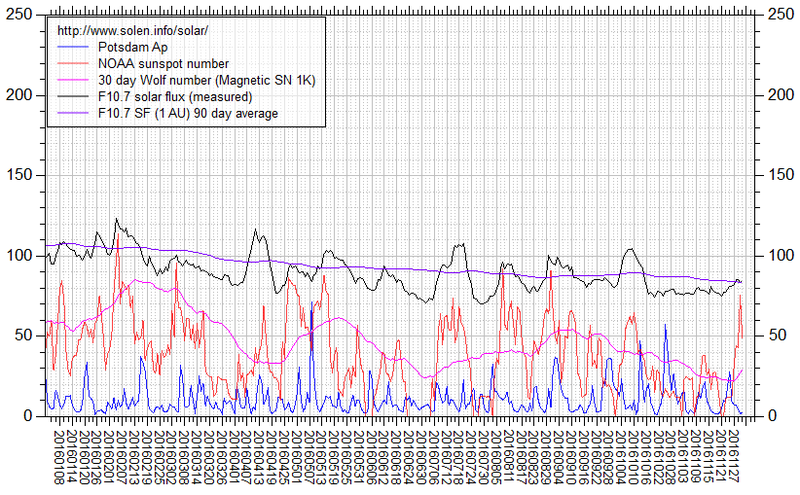 The geomagnetic field was quiet on November 18. 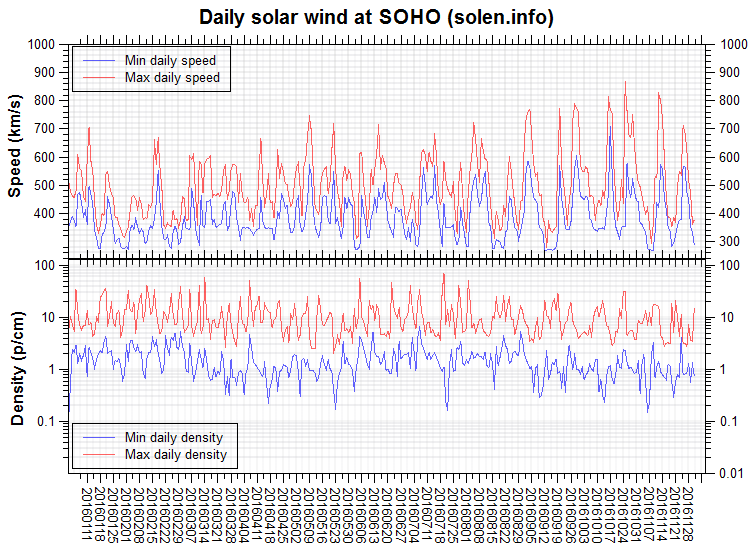 Solar wind speed at SOHO ranged between 311 and 385 km/s. 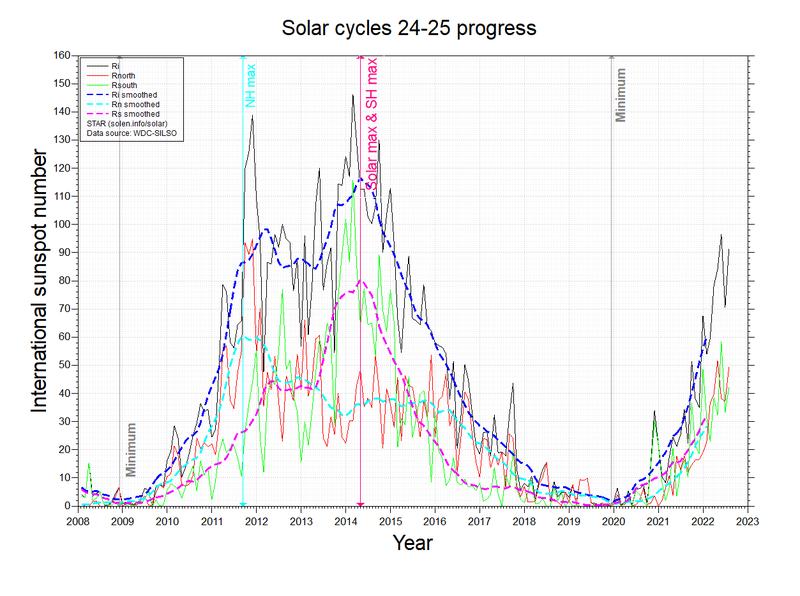 Solar flux at 20h UTC on 2.8 GHz was 77.6 (increasing 0.1 over the last solar rotation). 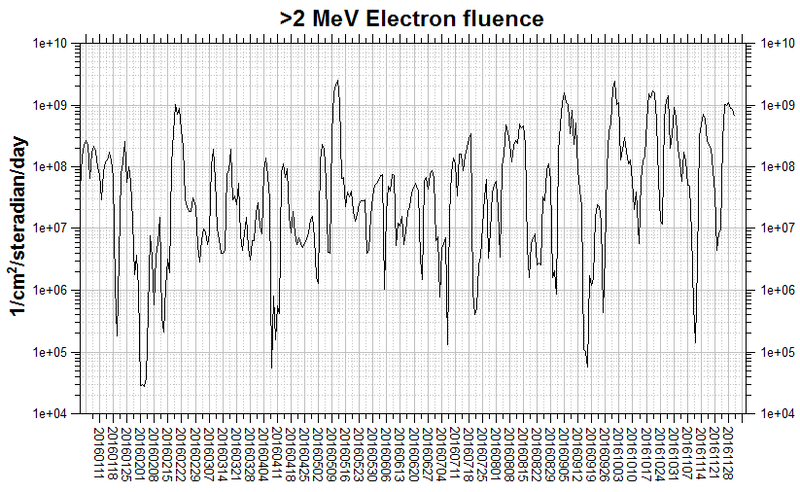 The 90 day 10.7 flux at 1 AU was 84.8. 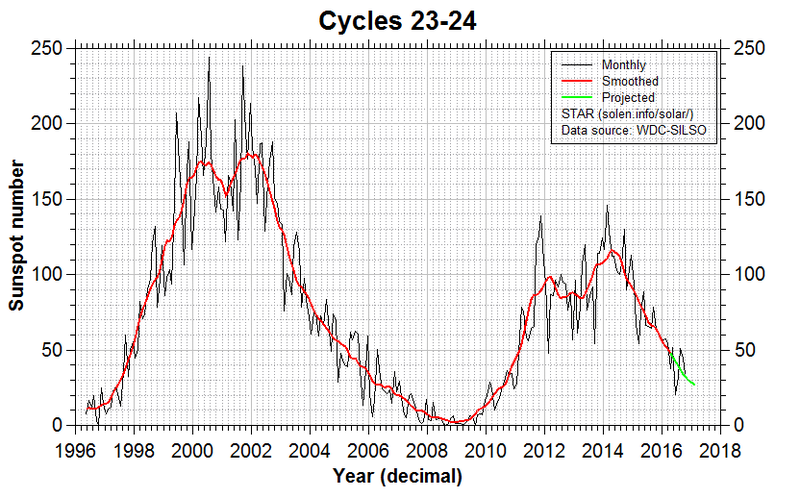 The Potsdam WDC planetary A index was 2 (STAR Ap - based on the mean of three hour interval ap indices: 1.9). 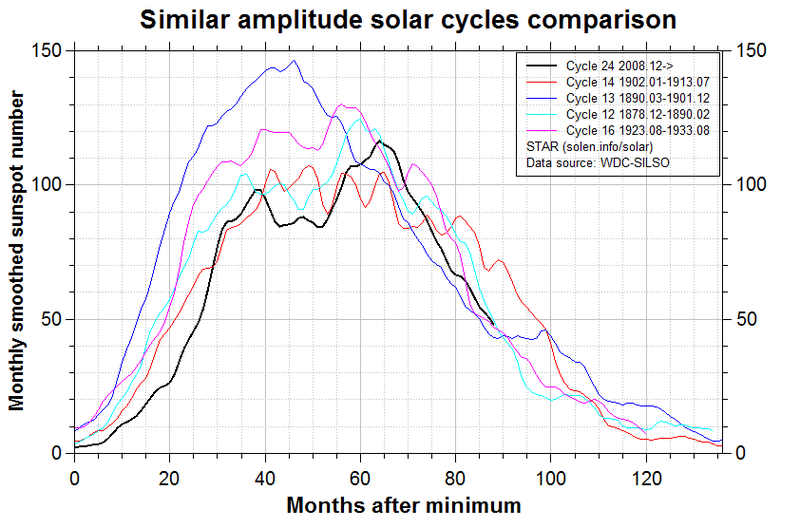 Three hour interval K indices: 20000100 (planetary), 2100*310 (Boulder). 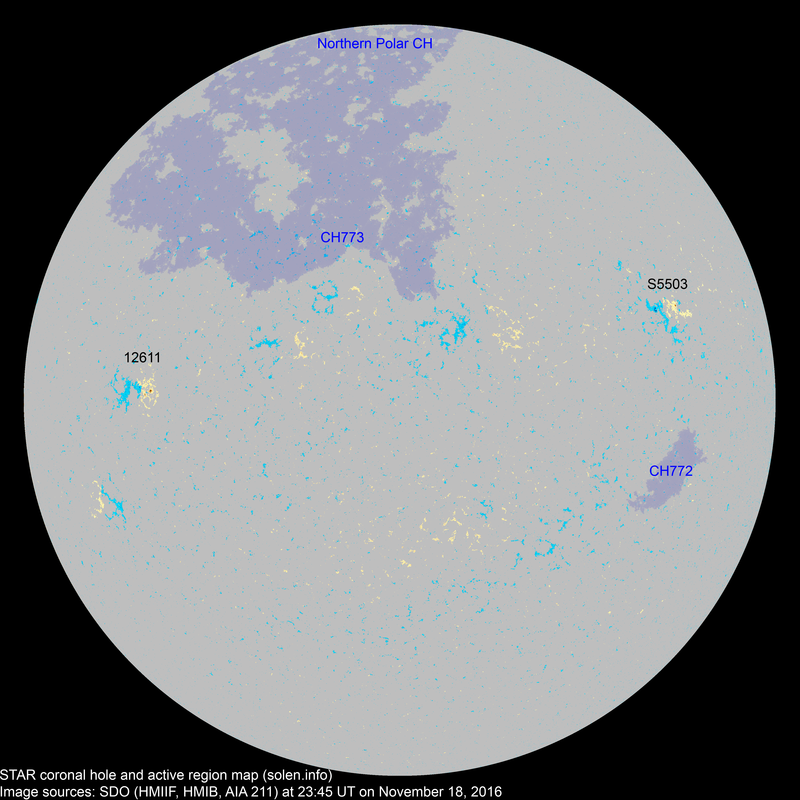 At the time of counting spots (see image time), spots were observed in 2 active regions using 2K resolution (SN: 33) and 2 active regions using 1K resolution (SN: 26) SDO images on the visible solar disk. Region 12611 [N03E42] was quiet and stable. S5503 [N16W47] decayed further and was quiet. This is AR 12610 to SWPC. 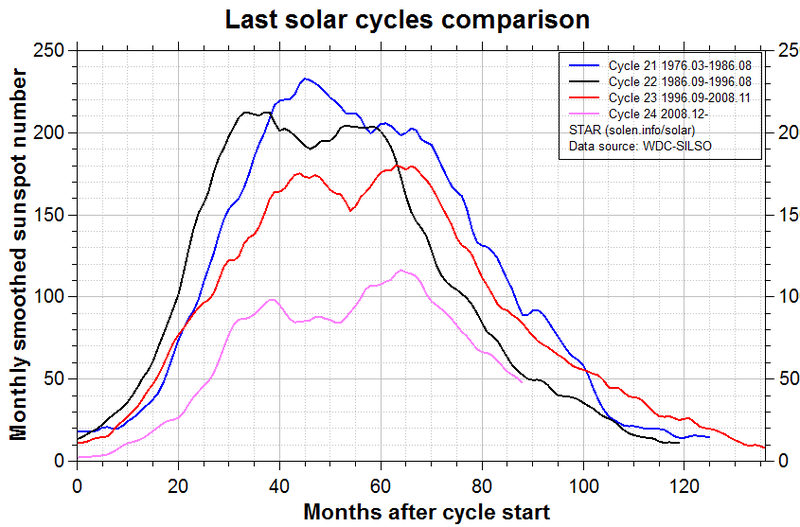 November 16-18: No obviously Earth directed CMEs were observed in available LASCO imagery. A recurrent trans equatorial coronal hole (CH772) was in an Earth facing position on November 15. 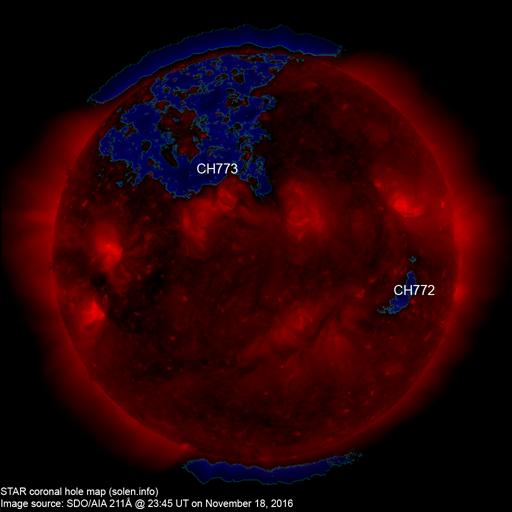 A recurrent northern hemisphere coronal hole (CH773) will rotate across the central meridian on November 18-21. The geomagnetic field is expected to be quiet to unsettled on November 19-20 due to effects from CH772. 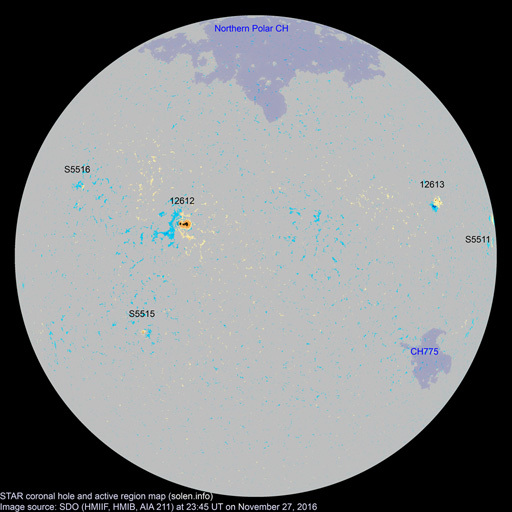 On November 21-24 there is a chance of a disturbance associated with CH773, if the disturbance reaches Earth unsettled to minor storming will be possible. SWPC is counting the spots of AR S5503 as part of 12610.